Jessica B. Armijo is an Associate in the Orange County, California, office of Jackson Lewis P.C. Her practice is focused on litigation and preventive counseling. Ms. Armijo advises and represents employers in a broad range of employment law matters, including claims of discrimination, harassment, wrongful termination, failure to accommodate disabilities, retaliation, failure to pay wages, and a variety of other statutory and common law claims. She also advises managers and supervisors on preventive litigation practices, concentrating on how to comply with applicable laws and regulations, avoid workplace disputes, and resolve employee relations problems. Prior to joining Jackson Lewis, Ms. Armijo was an associate at a statewide defense firm where she gained valuable experience representing school districts with labor and employment issues, including employee discipline and dismissals, workplace investigations, and defending public agencies against allegations of discrimination with the Department of Fair Employment and Housing and the Equal Employment Opportunity Commission. 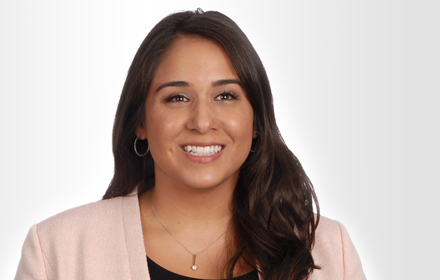 Before starting law school, Ms. Armijo was a White House Intern and Congressional Intern. After finishing her undergraduate studies, Ms. Armijo joined Teach For America and worked in Los Angeles as a Special Education Teacher. Ms. Armijo finished law school with honors, receiving CALI Excellence for the Future awards in Constitutional Law: Advanced Topics, First Amendment Rights, Legal Research and Writing II, Religion and the Law, Remedies, and Trusts and Estates.